Easy to use, good value. A bit small for larger families and households. 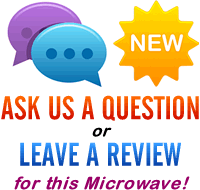 Looking to buy a simple to use yet cheap microwave? The Igenix IG1750 may just tick those boxes, priced at around the £60 mark, and offering an easy method of heating and cooking food. 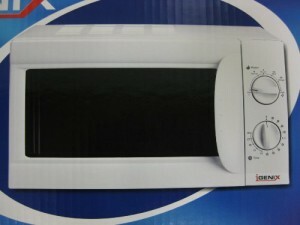 The exterior is finished in a simple and clean white colour scheme - essentially this model is a no fuss small microwave. Weighing just 10.5kg, and measuring 26.2cm by 45.2cm by 33.5cm, it's pretty compact in size. The Igenix interior provides 17 litres of capacity, and measures 19.8cm by 31.5cm by 29.4cm. The controls are dial based - set the mode with the top dial, and the time with the lower dial - very simple to use, and ideal for those who struggle with technology. 5 different power levels are included, as is a defrost function, and the mechanical timer goes up to a maximum of 30 minutes. So who is it aimed at? Due to it's size and functions, it's not best suited to larger families - however for small kitchens, and for those users who require a simple method of heating food, this model will be ideal. The Igenix IG1750 is an ideal microwave for the elderly, and for those who need an easy method of cooking and heating food. Good value and should be reliable. Igenix 1750; Is this suitable for caravan use, ie internally fixed within a cupboard (and other cupboards alongside it) or for worktop use only ?